So WhatsApps and Twitter have been buzzing this afternoon, it appears that Jumaa al Hinai, the former head of the PDO Tender board (not a PDO paid position, but a Government one I'm told), and Dr P Mohammed Ali have both been handed RO 600,000 ($1,560,000) fines and 3 year sentences, with permanent deportation for the MD of Galfar upon completion of his sentence. Abdulmajeed Nushad of Galfar also received a RO 200,000 ($520,000) fine and a 2 year sentence along with deportation as well. Presumably the case will now go for appeal. Other large contracting companies have been in the press lately with similar corruption charges brought against them, this Reuters story names Consolidated Contracting Company (CCC) and Larsen & Toubro Oman. There's a lot more going on 'around' PDO but not directly linked. But this might be more hush and not something that will make the news, but will eventually come to light. Just a matter of time. Oops, lol, I didn't read good enough. Didnt i hear that they all got a Royal pardon? "Didnt i hear that they all got a Royal pardon? Only an Omani would get a royal pardon and even that is a far stretch these days. They should publicly shame these people and let them serve as an example for others who are looking to line their pockets with money gained through corruption. "They should publicly shame these people"
Just blogged on the same. I hope everybody knows how much Mr Mohammed Ali has done for Oman. He has given jobs to millions of people both in Oman and Indai. He has lifted so many people out of poverty. He built the first non government colleges in Oman. Infact he put Oman on the man. Before Galfar noone even knew where this dump f a place called Muscat even was. He has been nothing but good to man. Perhaps the Omani people should stand up and for once do the right thing. Protest against this shoddy treatment of one of the finest human beings there is. I hope everybody knows how much Mr Mohammed Ali has done for Oman. He has given jobs to millions of people both in Oman and India. He has lifted so many people out of poverty. He built the first non government colleges in Oman. Infact he put Oman on the map. Before Galfar noone even knew where this dump f a place called Muscat even was. He has been nothing but good to man. Perhaps the Omani people should stand up and for once do the right thing. Protest against this shoddy treatment of one of the finest human beings there is. Yes he has done lot of things for Oman and it people, but that doesn't excuse him from paying bribes and indulging in corruption. He rightly deserves what he has got. In fact I have heard he was and is not in Oman during the sentencing and had left the country. So looks like he wont be heading to prison any time soon. 1) Corruption amongst government agencies is a thing everyone seems to be aware of but where is the platform to address these issues?? Who does an expatriate approach to say a bribe is being demanded?? By that rationale Jimmy Saville, who fixed it for so many young children, should not have any charges of kiddy fiddling against him. Just because someone does something good does not give them the right to do something hurtful later on and expect it to balance out. If Dr Ali was not in the country during the sentencing and wont be brought back to Oman then it sounds like he has been given his get out of jail free card, quite literally, already. I am just surprised at the sheer speed at which the expat community has pronounced Dr Ali guilty through forums such as this - without even crediting the good work he has done. You are right in saying that just because someone has done good work does not balance out the wrong they do. What I am saying is that I would give a little more weight to the words of someone who is known to be of good character. Let us look at the case as it stands. Al Hinai was in possession of cash which was not proven to have been a bribe. There is no evidence of cash having been exchanged. There is no money trail whatsoever that we know of. There is no evidence for this case other than the coerced testimony of Galfar Officials who were reportedly imprisoned without any warrants, charges or recourse to legal aid. If this had happened in a democracy we'd have uniformly decried the gross violation of human rights. The elation of people with the news of Mr Mohd Ali's conviction seems to be driven more by jealousy than a sense of justice. Leave aside Mr Mohd Ali's considerable contributions towards the development of Oman. He is a person known for his humanity, commitment and sincerity towards people. His wealth is a byproduct of what he does and the values he holds dear and is not an end on its own. I wish him well and that this conviction is overturned after the appeals that have been lodged. I can't believe some people here are seriously suggesting that Ali or any of the other crooks should be let off because they once did something good, what rubbish - these crooks deprived other companies and people from earning their wages because they lied and cheated. They got found out, we should be celebrating the fact that Oman is no longer supporting corruption - well done Oman and good riddance to the cheats. This is not the only case of an expatriate or Omani national to be convicted of corruption. Basic point; corruption exists everywhere and in every industry, only a matter of time when you are caught or not (if your cover your tracks!). "Good works" are often a smokescreen put out by pillars of the community using their fortunes that have been made in less than clean ways and it seems to be working in Dr Ali's case. Lets get this clear - these people have been tried and convicted in a proper court. They took bribes that were ultimately paid for by the Omani people, projects cost more than they needed to and the profits of Omani companies (like PDO) were less - consequently there is less money to pay for roads, health care and all the other stuff the Government does and that hurts everyone in the country. At the same time a tiny group of Omanis got seriously rich on the proceeds of the bribes and the undue profits went abroad to the (non-Omani) shareholders of the companies who paid the bribes. The fact that the Omani criminals deigned to hand back a few Baizas via their pet projects to make them look good is irrelevant and an insult to the intelligence of the Omani people. Thank God the world is changing - corruption will always be with us but if the Government prosecutes and the courts hand down massive fines and long prison sentences maybe people will think twice about doing it. Wow lots of comments on this post today - thanks everyone who's taken the time to comment. Personally I'm at odds with who's more to blame? The person accepting the bribe, or the person offering it? Perhaps the courts had a similar dilemma and so dished out the same sentence to both Mr Hinai and Dr Ali. One could even feel a little (tiny) bit bad for Dr Ali and Mr Naushad - if the system is so skewed where you have to bribe to win the work.... as a working Contractor what choice do you have? CCC and L&T are also in this boat too it seems. Still - rules are rules and people have been caught, and punished. I certainly await to hear the outcome of the pending cases. Are these bribes offered and accepted...or demanded and given out of fear? As Stock value of Galfar goes down, will they manipulate the market. It looks like a Turkish firm complained to Sultan using an American Law firm after losing the contract to Galfar and the investigations started. When they got the contract extension from the Turkish company, Galfar benefited from it. It bought Revenue, So did the CEO and Chairman not question how they got good revenue. They should have known what happened. I think CEO and Chairman also should go as everything happened under their watch and they are pary in this. This is a landmark case and judgment. I hope similar cases are pursued with equal candor and perpetrators similarly named and shamed. Sorry but Mr ali knowingly committed a crime and has to pay the price. At least he has been spared the jail sentence. If he is the fine upstanding man you claim then he should return to Oman to serve his prison sentence. Maybe he will be rewarded with some kind of reprieve for that. Justice is not a one sided coin and we must remember that this is an ongoing trial with many questions unanswered. It is but natural for a responsible citizen of the world to feel strongly about corruption and its evil. Talking about responsibility I am 'surprised' by the rumours mentioned in the comment section, that Mr P Mohammed Ali has left Oman. Come on people think before you make such baseless allegations.... you not only undermine the integrity of the said accussed but that of Oman as well. And since when did Oman journalism resort to announcing their breaking news in the comment section of MM? Above used the words "said accused". I am sorry but are the Omani courts considered worthless as he has been tried and found guilt, no longer accused. People may like the fellow and what he has done but what evidence is there that counters the law courts which have found him to be a corrupt swindling cheat? It is interesting to see the discussions out here. I am happy to see that the judiciary in Oman is open to the public. I would request people who are making these comments to come and witness the cases and study the case details. I can tell you that in any other court this kind of verdict could not have been arrived at as there was no evidence. Obviously that is the reason why the case is going to the Appeal Court. Witnesses are being taken into custody and are the witnesses are saying different things at different points of time (under custody, in court). If someone traces the origins of this case , they will be smart enough to understand that this case is a smoke screen to divert attention away from some of the real cases and culprits that have been involved in money laundering , shipping frauds which have been on the Interpol radar. Further in a case that involves a public listed company with a professionally run board (Galfar and PDO ) , how are individuals being singled out? Faheem - yes right! "I just happened to have been found with a million OMR in cash in my house, I like to keep it lying around in case I need to buy something and the ATM isn't working, nothing suspicious here at all - doesn't everyone on a Government salary keep that sort of cash at home?" I heard that they are starting to look back at contracts over 10 years - and a lot of prominent names are getting more than a little worried - time for them to spend some quality time in Switzerland or wherever it was they stashed the proceeds I think. So nobody thinks it is a a little strange that the Atlia Dogman Case was plastered all across the Internet for the public to read before the trial ? It is still out there and people are still reading it. It absolutely cannot mean that the public was biased and the verdict a predetermined one to assuage the "built up" public sentiment. Of course this cannot be for this would be nothing but a grave insult to the intelligence of the common man who believes in the just and fair system of the judiciary. Increasingly, this case reeks of the kind of scapegoating common in most countries with an under developed accountability system. In its exhuberance to deliver justice, I find the Omani courts are unfairly making P. Mohamed Ali a poster boy for Oman's endemic corruption issues. Whether or not P. Mohamed Ali (and Naushad) offered a bribe to Al-Hinai is for the courts to decide on the basis of a free and fair trial conforming to norms of international justice. The public however, wants to see heads roll NOW. And a big foreigner head is far easier to make an example of, as opposed to an Omani with tribal connections that could upset Oman's delicate political status-quo. Kick backs and bribery have been an unwritten stipulation in most Oil and Gas contracts since the 1970s. The government largely turned a blind eye because loyalties had to be bought in Oman's fractious society, and people don't tend to complain when they can get rich quickly. Today however, times have changed and the greatest threat to Oman's stability is youth unemployment - as witnessed during the Arab Spring inspired protests. The question no reader seems to be asking is why is the spotlight so firmly fixed upon P. Mohamed Ali? Surely all the big names must be implicated. Why has no other major Oil & Gas executive been accused? Local print media has given very little coverage to the dozens of other cases in courts. Why the disproportionate media exposure? If we are now entering an era of transparency, let us bring out all our dirty laundry. No member of the public has their head in the sand. Everyone knows how contracts have been awarded for the past forty years. If the oligrachy is finally being held accountable, let us not reach for the "low hanging fruit" while skirting the more complex and deeply damaging corruption charges. The truth is, if all corrupt individuals in Oman were to face justice, we'd be shocked by how pervasive an issue this has become. The easier way out, as no doubt suggested by those who have the ears of decision makers, is to scapegoat a few and throw the hungry hounds a bone. I have read each and every comment of this blog with an earnest and objective eye. I have also read every stitch of news, both in regional publications as well as international publications, not to mention various RSS feeds and newswire releases. To those of you who have said that Dr. Ali has fled Muscat to avoid his sentence, you are making grossly inaccurate statements. He has not left. Please do your research. There is undoubtedly corruption in the Oil and Gas industry. This is not a regional phenomena, but rather a global one; and one as old as black gold itself. I do not believe that Dr. Ali is a man that has knowingly participated in such an endeavor. It is harrowing to see that he is the only one of three individuals implicated who remains in the press. Is this because of his wealth, his stature in the community, his connections both at home and abroad; or more importantly because he is being used a a scapegoat to divert the attention of youthful dissidents toward an elite target? May the appellate courts see to his exoneration. How strange that Mohd Ali was & is out of town when the excrement hit the proverbial fan. I see a lot of the comments are in favour of exonerating the poor man who say he has been made a scapegoat... I'm sorry, but there is no smoke without fire! 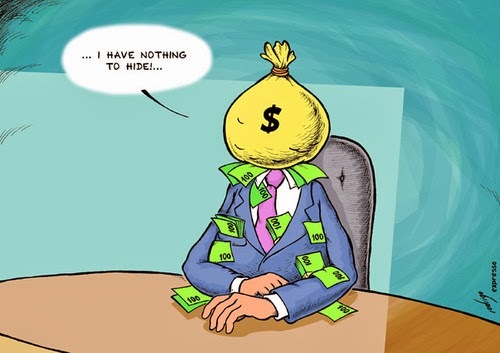 Let it be known that Galfar and others have been passing brown envelopes under the table for a long time and the amounts that have been stated can only be sanctioned from the men at the top. As has been repeatedly stated in several previous posts, P. Mohamed Ali is not out of the country. The rumor mongering taking place online is certainly not aiding the public in forming an objective opinion based on facts. PLEASE research your facts before publishing an opinion about someone. Every human being deserves truthful representation regardless of the accusations or criminal charges they face. Pause for a moment and try to come up with one good reason as to why Omani authorities would let someone on trial since November 2013 leave the country. Well if the " higher ups" are going to be questioned, then all the higher ups have to be questioned, not just a single individual. In a public company like Galfar, isn't the board responsible ? Where is the CEO ? The fact that there are many more cases and all the media attention is on Dr. Ali, does make one think that there could be more to the stories that are being portrayed by the media. It sure looks like the concerned people have made Dr. Ali the fall guy in this. The CFO of the public company , a person who actually can be implicated in this case has been made a state witness. Doesn't that strike anybody as odd ? There is definitely something wrong somewhere. Of course bribes could have been paid or extorted from these contracting companies and as long as there is evidence beyond reasonable doubt, people should be punished accordingly. However one individual cannot and should not take the blame for a public company where there is a board that is answerable to the public. That to me is unfair and that is where is see justice not being served. Pay a few thousand rials to an individual and get back a contract worth of millions of Dollars that was awarded to a foreign company, that too after they run the contract a few months? Is that possible? Definitely there is story other than what is spreading. Is he not been targeted? Dr. Mohamed Ali is the Founder-Chairman of the ‘Oman Petroleum Alliance’. The forum is better known as OPAL, representing Oil & Gas producing, refining and marketing companies as well as contractors and suppliers. The aim of OPAL is agree and promote standards for work competence and professionalism in all facets of oil and gas industry in Oman. Considering the fact that Galfar is a public company and no decision can be made by the him alone,as well as the fact that every other companies' except Galfar's CEOs are being tried in the other bribery cases being addressed, it is clearly a case of scapegoating. For example, try and figure out the market share of various truck manufacturers (MAN, Benz) in the MoD fleet and compare that with the global market share of these companies. Then look at the tender specs (e.g., engine/transmission tech specs) and you will find the answer quickly. So if money is extorted or asked as a bribe, is there a forum to address these grievances ? I think not. If the government wants to really weed out of corruption, these are things it should address first . Its sad to see how vicarious people are to watch the misfortunes of someone who has helped thousands of people live a life of dignity. The kangaroo court that we have on the forum are incomplete and unfair as neither you nor I have the FACTS in front of us to debate/ opion on this. What I do believe and know is the track record of a man who has built an organisation from ground up, helped educate people never mind the caste, creed or race, has put Oman on the world map due to his achievements and helped thousands of destitute people in his own personal capacity. I believe that this is a wilful campaign to malign a man who is truly worthy in every sense of the word.He needs and deserves a fair trail, verdict and has our undoubted support. It doesn't appear that anyone has questioned whether he "has built an organisation from ground up, helped educate people never mind the caste, creed or race, has put Oman on the world map due to his achievements and helped thousands of destitute people in his own personal capacity". What has now been proven in the Omani court system is that he is guilty of corruption. To put it another way, Robin Hood would be convicted as a thief. It doesn't matter what he did with the money that he stole. What matters is that he stole it. This is no different. And as we all know, he isn't the only one behaving in this manner. The verdict was of the lower court and NOT the SUPREME COURT which means the case is still not over. If Dr. Ali is indeed guilty , then so is the whole board of Galfar, the CEO and the CFO. How come none of them were questioned ? isn't Galfar a S.A.O.G company ? So does one man make ALL the decisions ? Does that even make sense ? this is what i find unfair. To me, personally it shows that something is not right somewhere. We all know all the ministers were changed across the board because of " corruption". Tch tch....funny no one is questioned and everything is hushed up..
but whatever the verdict may be, Robin hood or not, the omanis CANNOT take away what Dr. Ali has contributed for their country. So did anyone read about the Duqm land scam judgement ? what happened to the joyous public sentiments about justice being served and happiness of publicly shaming certain people ? was there No reaction because it just happened to be on "page six" of times of Oman ? of course this was NOT headline worthy because it really is making the Omani government look bad. I mean the dude just happened to be the former under secertatry of the ministry of housing. It is public knowledge who the dude is and what the dude did with government land. Of course the judge was "fair" to give hims three year jail sentence but the 100 rial fine and a 1000 rial bail amount does come off as a "free ride" out of jail. Compare this to Dr. Ali and Mr Jumma who received 600,000 OMR fine and 300,000 OMR as bail. So what is the logic here ? Distributiing government land gets you a smaller fine...but bribing an official a lot more ? Misusing the highest post is not news worthy but when a well known expat gets embroiled, it should be made headlines ? And what happened to the other cases ? how come the media has suddenly forgotten about them ? We all know the pathetic sham of media that Oman has but this is definitely taking things too far. And yes my dear Omanis, this kind of unfair and pathetic coverage of ridiculous media service is nothing but an insult to our intelligence. The cases have stacked up!! Now 6 charges/convictions! Literally nothing works on honesty in Oman when it comes to government/ministry contracts!! Bribing in money, alcohol, prostitutes, etc is so common that its hushed up as so many higher-ups and their cronies will get involved if exposed. Whatever Mohd Ali has done for the Indian community there has only enlarged his bank accounts tremendously and he is a literal king in corrupt practices. Otherwise, how on earth can he consistently get such massive road and other construction projects? All evil people like him will also try covering this with his so-called charity works. Every good and bad things will come to an end and sooner or later things will surface and this is what happened to Ali. He pushed his luck too far!! If he has escaped the sentencing and is in India, then its Oman's duty to catch all the others concerned in Oman and recover as much money from them as possible. India and Oman has already a criminal exchange/handover policy and that way he can be arrested in Indian and brought to Oman. Let it be a lesson for all of us that KARMA happens to everybody. What goes around comes around! !